Defrost the shrimp in the microwave for about 45 seconds. Meanwhile melt the butter over medium-high heat. 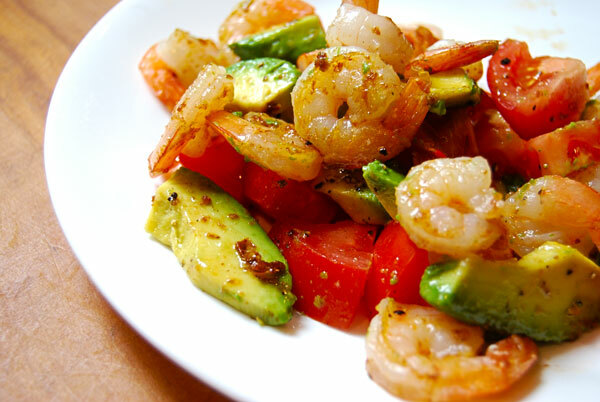 Drain off water from shrimp and sautee for about 3 minutes (adding salt, pepper, garlic powder to taste). Shrimp are ready once the butter forms a nice crust on them. Serve over tomato and avocado. Wow! I have a similar meal plan for Tuesday! Looking forward to it even more after seeing this picture!